Santa Barbara County is a beautiful travel destination where you can find stunning views of valleys, mountains, vineyards, and even ocean beaches. 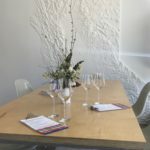 It’s also the location for multiple wine festivals, release parties, and food and wine events throughout the year. Visitors will find five distinct winegrowing regions here (Happy Canyon, Los Alamos Valley, Santa Maria Valley, Sta. Rita Hills, and the Santa Ynez Valley). If you are heading to Santa Barbara County, these are our favorite wineries, restaurants and other food purveyors there. South Coast Deli – Incredible sandwiches, freshly made to order, at locations throughout the County. Your options include Cold Sammies, Toasted Sammies, Panini, Tossed Salads, and Salad Sammies. Even the Iced Tea and Coffee are high quality here. 1436 Chapala Street (805-560-9800) and 10 East Carrillo Street (805-845-4600) in Santa Barbara, 185 South Patterson Avenue (805-967-8226) in Goleta, and 6521 Pardall Road (805-770-2669) in Isla Vista. Trattoria Grappolo – Outstanding friendly Italian bistro off the beaten path that is well worth the journey, but you should probably make a reservation first. Trattoria Grappolo was founded in 1997 by Chef Leonardo Curti and Daniele Serra and the crowds are here because it’s a favorite for locals and the tourists are drawn by the food and the chef’s reputation. In fact, the food is so good you’ll want to buy their cookbooks and luckily they sell all three of them here. We highly recommend the pasta dishes, and the Rollino Veneto appetizer which is a cross between a Rolled Pizza and a Tomato-Basil Bruschetta. 3687 Sagranto Street, Santa Ynez (805-688-6899). Farmers Market – The Santa Barbara Certified Farmers Market Association was founded in 1983 to provide California farmers with the opportunity to sell their products directly to the community, and currently represents about 130 growers. The Markets are open year-round, 6 days a week, at various locations throughout the County including Carpinteria, Goleta, Montecito, Solvang, and Santa Barbara. Please check the link for locations and seasonal hours. 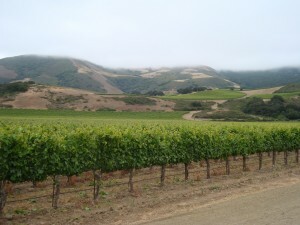 Santa Barbara County Vintners’ Association – a non-profit organization founded in 1983 to support and promote Santa Barbara County as a premium wine producing and wine grape growing region.